Cape Town - Liberty are set to unveil a new logo for Formula 1 next season as they continue to stamp their authority on the sport since taking over from Bernie Ecclestone. 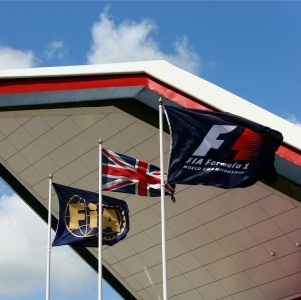 The current logo has been used since 1994, but three new designs have been submitted to European Union Intellectual Property ahead of an announcement expected after the Abu Dhabi Grand Prix. The decision to change the iconic logo has not been too well-received, but Liberty want to bring a "fresh energy" to the sport. “For sure, any time you change you are always going to get a mixed set of views,” F1 CEO Chase Carey said. “What we wanted to do was provide a fresh energy to the sport, and I think have a lot of plans for the future and a lot of things we want to do. “We thought the logo was a good way to emphasise the excitement and a fresh energy to take the sport to a new place. “That’s respecting where the sport has been, we are not looking to change the sport, we are looking to provide a fresh innovation and energy to a sport that is a great sport.